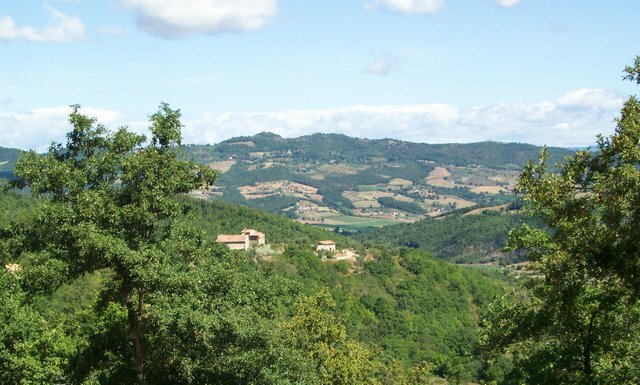 Casa Complessione di Qua is a recently rebuilt villa on the site of an old farmhouse in a splendid, isolated location in the hills but within 10 minutes drive of local villages. 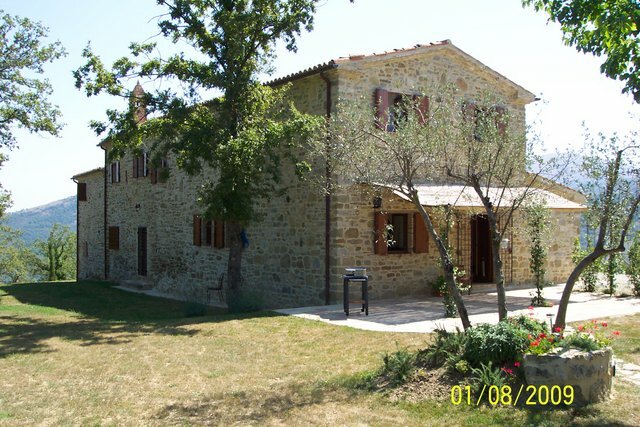 Situated high in the Niccone valley on the bordesr of Umbria and Tuscany, Casa Complessione di Qua s perfect for those seeking a tranquil rural retreat but is ideally situated for exploring the cultural and historic treasures nearby of Assisi, Gubbio, Perugia and Lake Trasimeno, Cortona etc.. 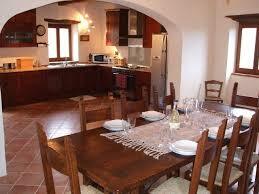 The villa is well furnished with fully equipped kitchen, dining room and sitting room with an open fireplace. There are four attractive double bedrooms, all with ensuite bathrooms and one with separate dressing room. The views from the house are breathtaking as are walks in the surrounding countryside. 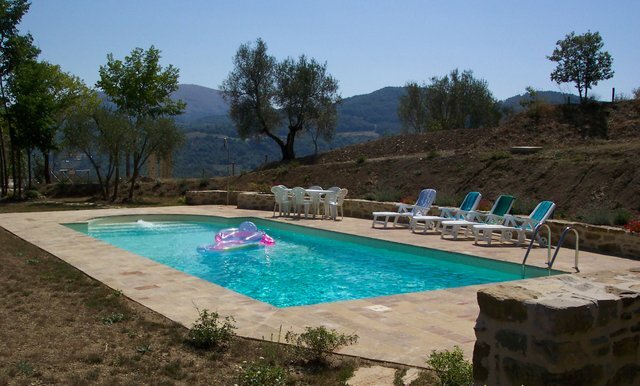 There is a beautiful, newly built swimming pool set in gardens with olive trees and terraces and a barbecue outside the villa. Umbertide lies 20 minutes away for all facilities. Entrance hall, living room, kitchen, dining room, twin bedroom with en suite shower room and own terrace, cloakroom & toilet, laundry room. 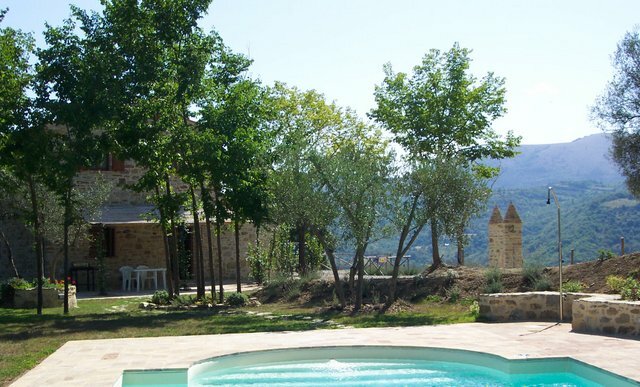 10m x 5m Pool with ample terrace, shaded terrace adjoining house, small terrace adjoining lower bedroom, loggia, external stairs, bread oven, 8 olive trees and various nut trees.